What happens when the world’s most famous typeface meets one of the world’s most cherished pastimes? Swiss-style awesome design is what. This graphic deck featuring the beloved font will win the hearts (and diamonds and clubs) of design aficionados. 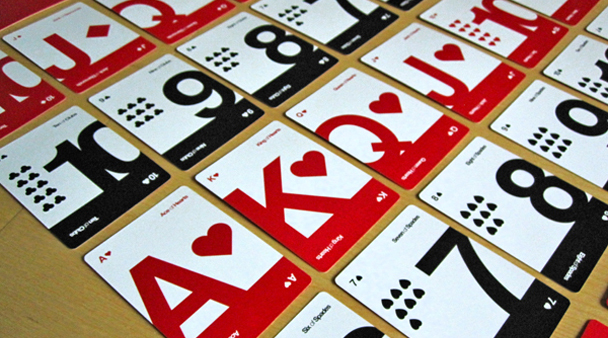 Designed with both the typophile and card player in mind, Helveticards are the beautiful, usable alternative to the traditional deck of cards that both Vignelli and Brunson would be happy to deal. For just $10 US you can buy a pack here. Printed on premium quality, high gloss, white core playing card stock. Packaged in hard plastic case.